The Palestinian President Mahmoud Abbas announced that he will present Palestine’s case to the United Nations Security Council on September 23 to request a full membership to the United Nations. A full membership would mean that Palestine would be recognized by a large part of the world as an independent country, with its own government and its own land. Currently, that is not the case. Most Palestinians live in two areas called the Gaza Strip and West Bank, both of which are occupied territories under Israel. For about 20 years now, Palestinians and Israelis have been discussing how the land should be split up between the two, but they have not been able to reach an agreement. Creating two countries, one for the Jewish people and the other for the Palestinian people, was an idea proposed by the United Nations over 50 years ago. For centuries, the Jewish and Palestinian people have both lived in the same geographical region. Today, the area is called Israel, but it was also called Palestine in the past. Since that region is “home” for both sets of people, they have strong disagreements about who should get to live where. In 1947, the United Nations proposed splitting the country into two regions – one for Jews and one for Palestinians. They didn’t agree, and fighting broke out. By the time the initial fighting was over in 1948, the Jewish people had created a country called Israel. This was followed by a war between Israel and some Arab countries (Jordan, Egypt, and more). The war ended in 1949, but by then, many Palestinian people had fled to two areas. One was called the Gaza Strip, which borders Israel and Egypt, and was under Egyptian control. The other was called West Bank, which borders Israel and Jordan, and was under Jordan’s control. In 1967, there was another war between Israel and some Arab countries, including both Jordan and Egypt. At the end of the war, which lasted for 6 days, Israel took over both the Gaza Strip and West Bank. In the 1990s, agreements were signed by the Palestinian and Israeli leaders giving some control of the Gaza Strip and West Bank to the Palestinian people. Since then the two groups have been trying to figure out how to split the land, so that the country Palestine can also be created. Palestinians say that the Gaza Strip and West Bank (including the area called East Jerusalem) is “Palestine”. One big issue is that Israel considers East Jerusalem as part of the city of Jerusalem, which is Israel’s capital city. Another issue is that many Jewish people now live in the West Bank. If West Bank becomes Palestine, their future is uncertain. 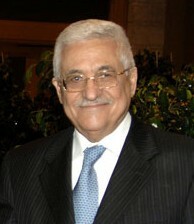 No agreement has been reached, and Abbas has decided to present the Palestinians’ case to the United Nations. The United Nations is an international peace organization. There are 193 countries that are members of the United Nations. Israel joined the UN as a full member in 1949.